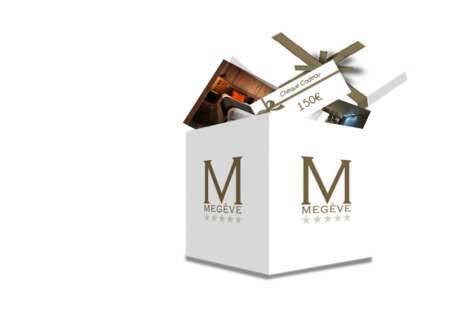 Megeve M makes you enjoy all year round special offers, weekend ideas and its non refundable offer. Enjoy a carriage ride for any offer purchase on our website. For any book made online enjoy benefits and best available rates ! Book your stay online to enjoy exclusive offers! The M de Megève proposes original ideas for presents for all occasions. With the M gift vouchers, offer exceptional stays in ultimate luxury. Relax with the « Well-Being « gift boxes or enjoy a gourmet escape for two. A 50 minute massage, treatment or ritual in our partner Cinq Mondes SPA, together with the benefits of a relaxation area with swimming pool, jacuzzi, sauna, hammam. Your Cinq Mondes massage rituals, à la carte (Californian, reflexology, head and neck, après-ski, "Hot stone", body, hands....). An exclusivity in Megève, enjoy our treatments on a Hot Quartz sand table ! Free access in the daytime to our relaxation area with a fitness room, a pool with counter currant swimming, Jacuzzi, hammam and sauna carved out of the rock. Treatments and massages to be reserved on arrival..
* Rate per room based on an occupancy of 2 people.